Everyone does it but no one wants to talk about it! No matter how much we may try, keeping rodents, insects and other pests completely out of our homes is virtually impossible. Pests can be very persistent and are designed to be sneaky, stealthy and avoid detection. 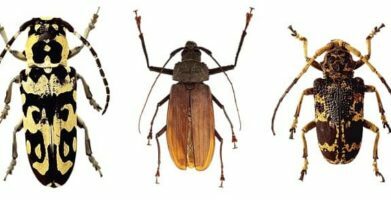 Their ability to infiltrate our homes is impressive to say the least, but the stereotype that comes along with a pest problem ranges from unflattering to embarrassing. Experiencing an infestation doesn’t mean that you are a messy or unkempt person with poor hygiene or health, but you probably still crave discretion. Homeowners go to great lengths to protect their property, their health, and their reputations. Sometimes, people contract pest control services that provide regular home visits. Others sanitize, sterilize, and organize everything meticulously. Some choose to set up snap traps, sticky boards, or other types of insect or rodent poisons and bait stations all over the place to kill whatever wayward pest would dare to trespass. Aside from concerns about the risks of harmful chemicals used in pesticides and insecticides, as well as safety and ethical issues raised by using traps, a big problem is you don’t want a guest to come over and see a dirty old mouse trap in your kitchen, or a gross glue board tucked away in the closet. 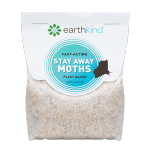 EarthKind has devised a pest control solution that addresses all of these concerns. 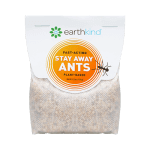 Our Stay Away® line of pest control pouches repels ants, beetles, moths, rodents and spiders naturally so there is no worry about dangerous poisons or inhumane and unsightly traps. Still, you are left with a pouch that says “Stay Away Ants” (or moths or rodents or spiders or beetles) on it, and maybe you don’t want to have to explain to nosy neighbors or other Lookie Lou’s about what it is and why it’s there. Don’t worry, we’ve got your back! The Pouch Pod conceals the Stay Away® pest prevention pouches with style. It is 100% bio based and made from flax, beets and sunflower hulls grown on North Dakota farms. Incognito is discreet and attractive. You can place any Stay Away pest repellent pouch inside and put it anywhere you need protection from pests. 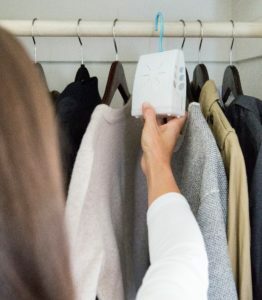 It even comes with a removable hook for use in closets or any other place where hanging is more convenient than setting it on a flat surface. 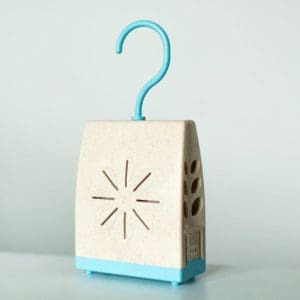 If anyone asks what it is, you have the choice or sharing your little secret about how to get rid of pests naturally, or you can just demurely call it an air freshener and leave it at that! No matter how much we may try, keeping rodents, insects and other pests completely out of our homes is virtually impossible. Pests can be very persistent and are designed to be sneaky, stealthy and avoid detection. 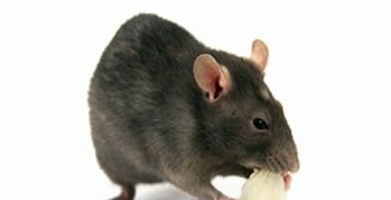 Their ability to infiltrate our homes is impressive to say the least, but the stereotype that comes along with a pest problem ranges from unflattering to embarrassing. Experiencing an infestation doesn't mean that you are a messy or unkempt person with poor hygiene or health, but you probably still crave discretion. Homeowners go to great lengths to protect their property, their health, and their reputations. Sometimes, people contract pest control services that provide regular home visits. Others sanitize, sterilize, and organize everything meticulously. Some choose to set up snap traps, sticky boards, or other types of insect or rodent poisons and bait stations all over the place to kill whatever wayward pest would dare to trespass. 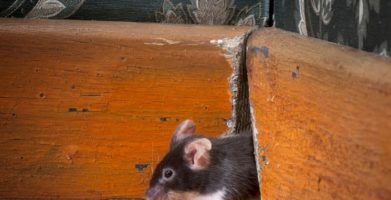 Aside from concerns about the risks of harmful chemicals used in pesticides and insecticides, as well as safety and ethical issues raised by using traps, a big problem is you don't want a guest to come over and see a dirty old mouse trap in your kitchen, or a gross glue board tucked away in the closet. 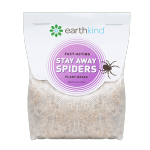 EarthKind has devised a pest control solution that addresses all of these concerns. Our Stay Away® line of pest control pouches repels ants, beetles, moths, rodents and spiders naturally so there is no worry about dangerous poisons or inhumane and unsightly traps. Still, you are left with a pouch that says "Stay Away Ants" (or moths or rodents or spiders or beetles) on it, and maybe you don't want to have to explain to nosy neighbors or other Lookie Lou's about what it is and why it's there. Don't worry, we've got your back! string(55) "Introducing the Incognito™ Pouch Pod for Pest Control"